Bold colours and patterns aren’t the only way to give your home a designer twist. A striking light feature offers an eye-catching focal point without having to redecorate your whole home. The best thing about statement light fixtures is their versatility. They’re not just reserved for bedrooms or living rooms either. Unusual lighting can enhance a room whatever the interior theme or layout. So get ready to brighten up your pad with our exciting shortlist of statement light trends for 2016. Novelty lampshades have ditched their kitsch reputation and are back in trend for 2016. Think exotic shapes like pineapples and seashells. Place the quirky lampshades on coffee tables or sideboards and they will provide a great conversation starter! A decorative base can make even more of a statement when paired with a bold lampshade, which is easily changed when you want to re-decorate. Decorative lamps are the simplest way to inject some fun into minimalistic and mature interior themes. Vintage light fixtures have been growing in popularity over the last few years. Pick fixtures with metal accents and copper wires for a sleek, minimal finish. 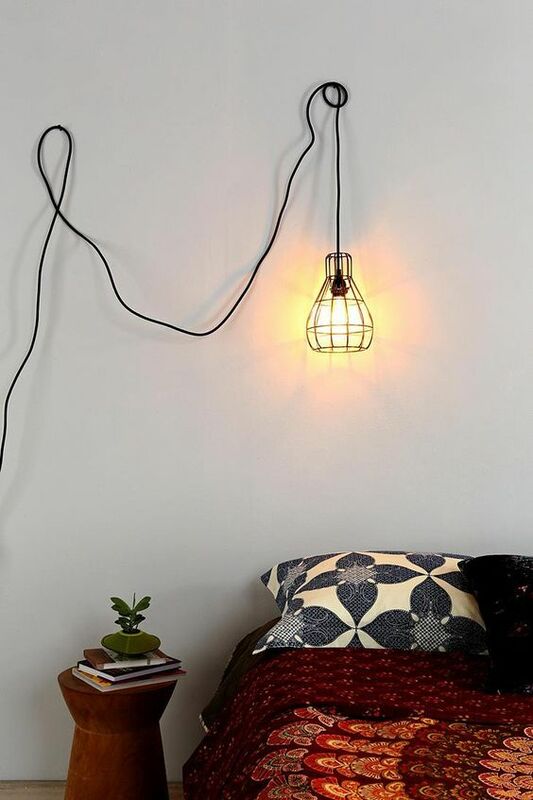 A single bulb next to your bed provides a relaxing light source- as styled by Urban Outfitters. Take inspiration from city bistros and hang a cluster of exposed filament bulbs in your kitchen. Crafty DIY fans could even source recycled jars to make eco-friendly custom fixtures on a budget. Tried and tested, pendant lights are still a firm favourite for interior designers. The classic hanging styles come in many shapes and sizes to suit any room. Browsing through an online catalogue such as Carlton Lights Pendant Lights Suppliers will help to inspire your choice. Look out for copper tones and contemporary updates on the chandelier. Metal detailing and unusual shapes bring the pendant style up to date for 2016. Tripod bases make a real statement which is no surprise because 3 is a magic number! The vintage inspired trend for 2016 will provide your home with a glamorous aesthetic. The large designs look particularly striking in dining areas and living rooms. Floor lamps with an exposed bulb provide an industrial influence for modern themes. Traditional lampshades can pull together existing colour schemes. Whats more, sturdy tri-legged bases are a practical and safe choice for family homes. Neon lights are a bright idea for art lovers. Bold neon signs ooze urban cool and can transform a dull wall into a unique installation that is sure to mesmerise guests. This showroom set-up executes the trend perfectly by styling the statement neon fixture alongside muted furnishings with tonal accents. If slogans aren’t your thing why not channel some celebrity style and get your initials in neon lights? This form of novelty lighting has never been more en vogue. Feeling inspired by these statement light trends? Read these Interior Designers Tips That Could Change Your Life to continue gathering ideas for your home.